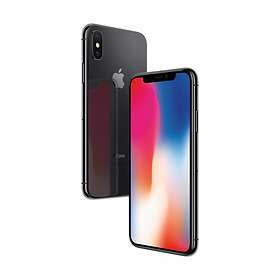 The Apple iPhone X has a 5.8-inch OLED display that stretches all the way across the front of the phone. The phone supports wireless charging, uses the new generation Apple A11 processor, and can record video at 4K / 60fps. The display has a resolution of 2 436 x 1 125 pixels, support for HDR10 / Dolby Vision, and a contrast ratio of 1 000 000: 1.